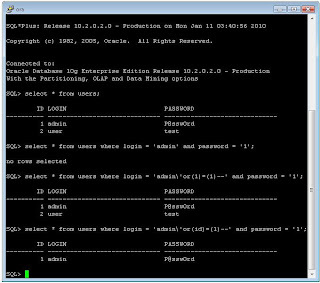 It should be mentioned that we have met a lot of Oracle DBMSs during the last penetration testing, and most of them contained the described vulnerability, i.e. 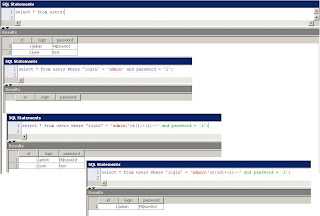 they had a universal login "'or(1)=(1)--" (aka SQL Injection). 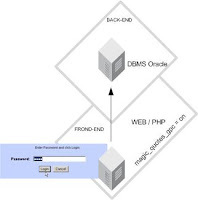 Thus, it is necessary to take such features of DBMSs into account in the course of programming and porting your applications to various databases to avoid problems relating to SQL Injection. Comment: this topic was described by Bernardo Damele [1,2] in his blog one year ago, but the practice shows that the problem is still urgent.